When Dave Ludovissy opened the doors of the Agency in 1985, his mission was simple. "To make our customers our priority and by Providing comprehensive Insurance coverage at fair and competitive pricing." As the Agency transitions into the next generation of ownership that commitment remains their focal point of business. 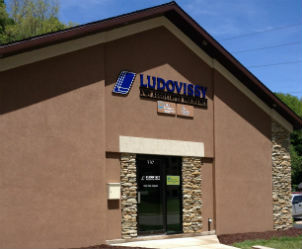 Ludovissy & Associates is an independent agency serving the insurance industry in the Tri State area for over 30 years. With offices in Dubuque, IA, East Dubuque IL, and Bellevue IA. Our Staff of 13 professionals are ready to service your insurance needs. We are an Agency that thrives on building relationships with our customers. The employees of our Agency are involved in our community. The following are organizations that we are active in: Hospice of Dubuque, Junior Achievement Board, Dubuque Fastpitch Hall of Fame, Loras College Alumni Board, Dubuque Boys & Girls Club Board, the East Dubuque Tourism Board, East Dubuque Tourism Golf Outing, Dubuque Men's Association Board, and we co-sponsor National Hospice Month. We are also involved in Iowa Restaurant Association board. Professional organizations are also important to Ludovissy & Associates. We’re members of the Bellevue, Iowa Chamber of Commerce and the Dubuque Chamber of Commerce. We’re a part of the Iowa Restaurant Association also. We’re affiliated with Independent Insurance Agents of Dubuque, Iowa and we’re affiliated with Trusted Choice. and These organizations continue to help our team grow professionally. We’re proud to provide insurance and risk management solutions in Dubuque, Bellevue, and Maquoketa, IA, in East Dubuque and Galena, IL, and in Platteville, WI. We also serve other areas in Iowa, Illinois, and Wisconsin and we serve other states.